In my Top 3 Travel Post a few weeks ago I mentioned that I listen to a lot of music. A big part of my travels usually involves listening to local music or at the very least paying attention to what others are listening to. When I studied in London I spent most of my time following the music scene. I’d pick up a copy of TimeOut Magazine and find a bar that had the smallest cover (sometimes free!) with a local, live band. Come Friday night, I’d be at some bar, in the basement, drinking a Guinness and catching an awesome live act. So when I went to Reykjavik, Iceland a few months ago I had all this in mind. 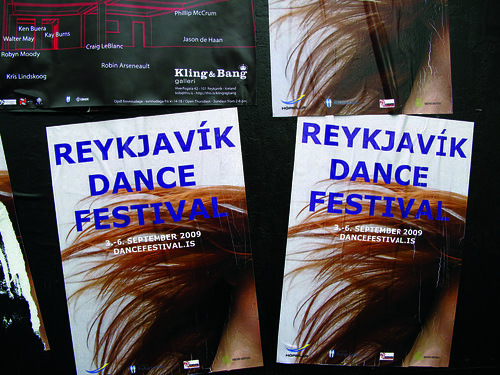 Iceland’s got an awesome reputation for music, so I had my ears open while I was there. Unfortunately, with a tight timeline and limited resources, we didn’t get a chance to check out any local bands (besides me walking up and down the aisles of a music store). Anyways, the reason I bring all this up is because I was going through my Moleskine notebook the other day and found some song lyrics I had written down while Liz and I were at a Reykjavik bar. A song had come on and the bar went crazy. There was a womens lacrosse team (I think it was lacrosse, at least) celebrating a win so they were an overwhelming presence on a Sunday night. I was pretty excited to catch a ton of locals completely into a song I didn’t recognize, so I jotted down a few lines of the song so I could look it up later. Now, a good 3 and a half months later, I finally remember to look it up! The song? Emiliani Torrini’s “Jungle Drum.” The kicker? I totally knew of this chick and probably have the song on my iPod already. Regardless, I’ve re-found the song and now I have a story about it. My Moleskin is also full of random song lyrics to research later! It's how I roll when my Shazam app doesn't work. I'm definitely going to check out that song. I like what I've heard from Emiliana Torrini so far. I was at Imperial College in South Kensington. Fall of 2006. London's amazing! This is off topic but where did you study in London? I spent a semester at University College and it was the greatest thing ever. OMG I can't believe we forgot about this! Those (soccer) girls were obsessed with “my heart beats like a jungle drum”. So glad you found it! Of course I found it! I am awesome.